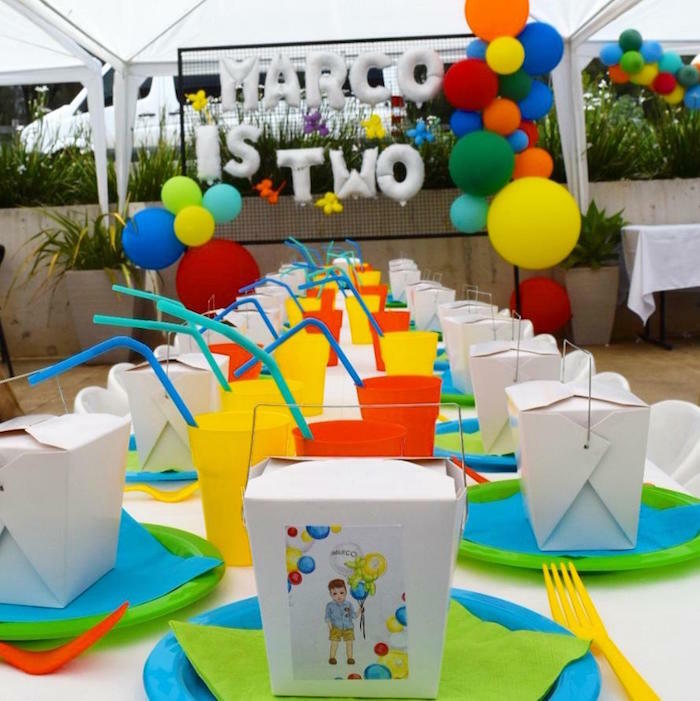 Looking for a party that is full of fun? I’ve got an event that will have you floating! 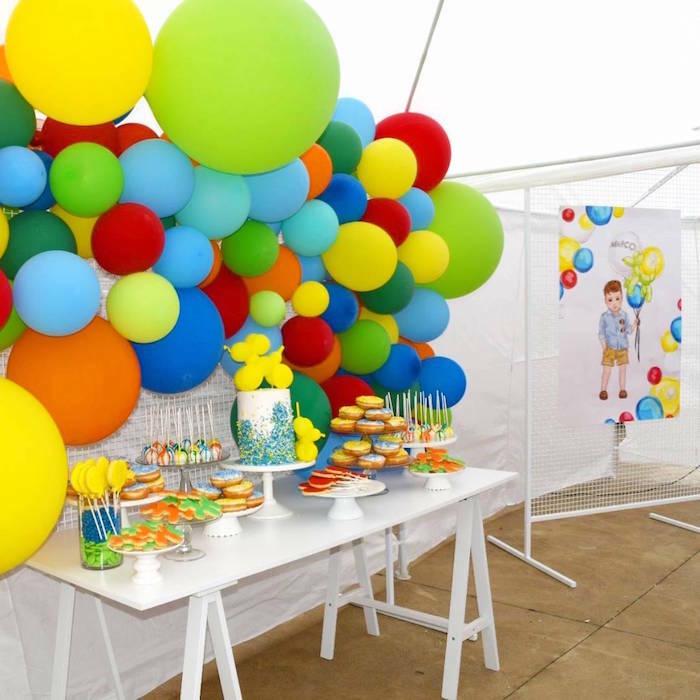 Styled by Stephanie Symeou of The Party Style Co, out of Melbourne/VIC/Australia; this Colorful Balloon Birthday Party is popping with details sure to make you blush! 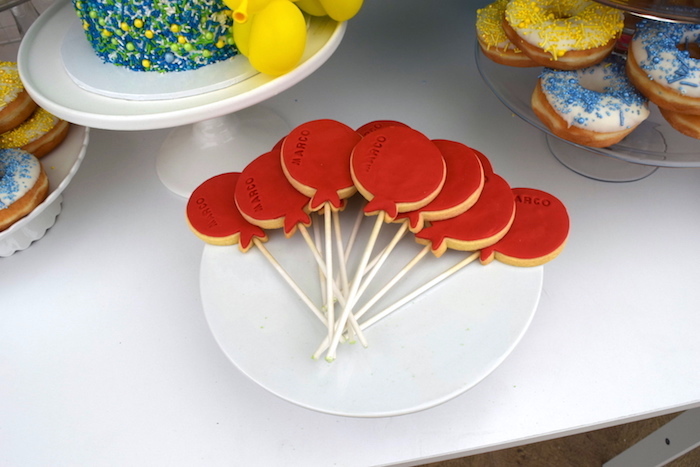 And fun Balloon Dog Cookies! 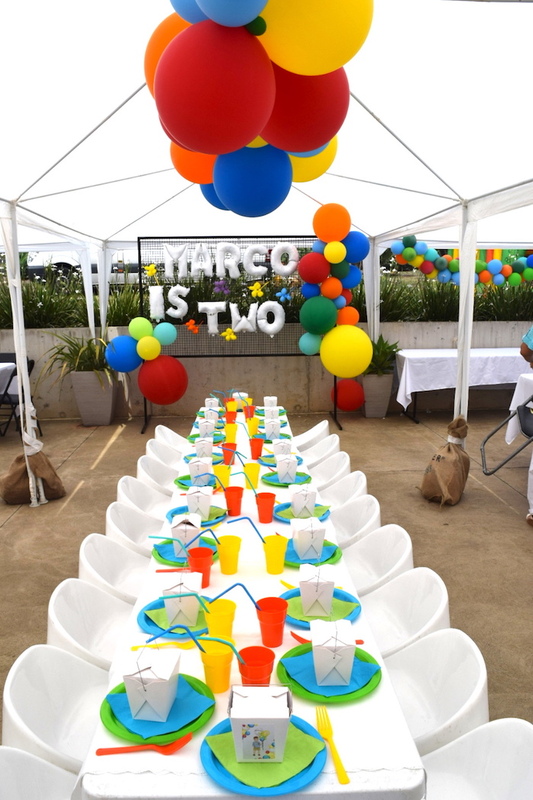 “We styled this super colourful, balloon overload party for our son Marco’s 2nd birthday. 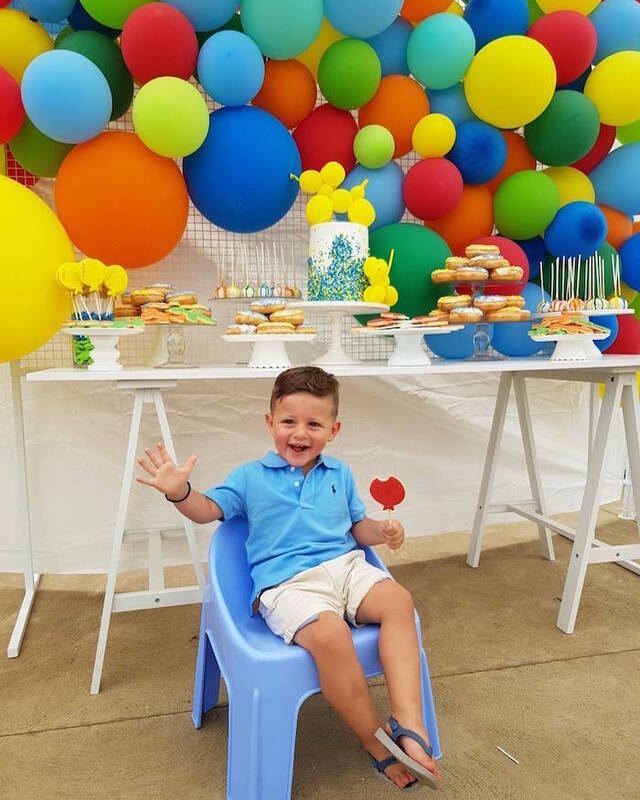 He absolutely loves balloons so it was a no brainer that we chose this theme for his party. 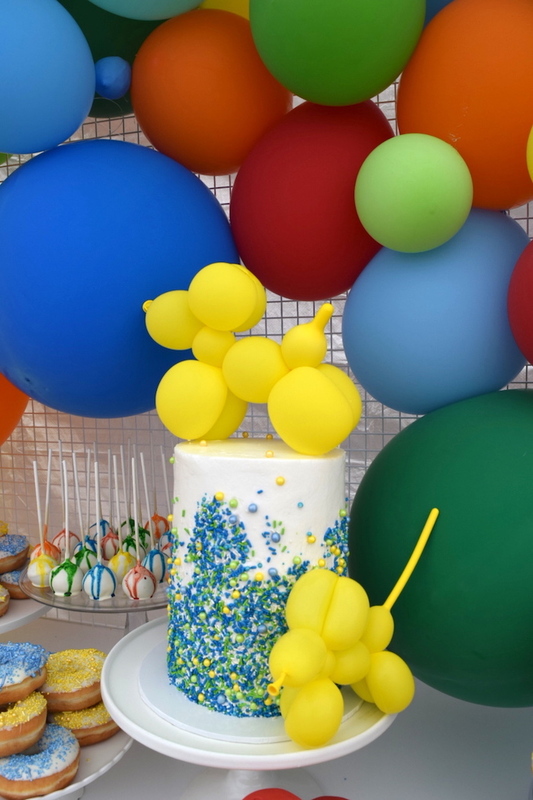 The main feature of the birthday was certainly the dessert buffet with a balloon backdrop, custom sprinkled donuts, balloon dog cookies, balloon cookie pops, cake pops and an amazing white chocolate, lime and coconut mud cake with a yellow balloon dog topper and custom sprinkled by Something for Cake. 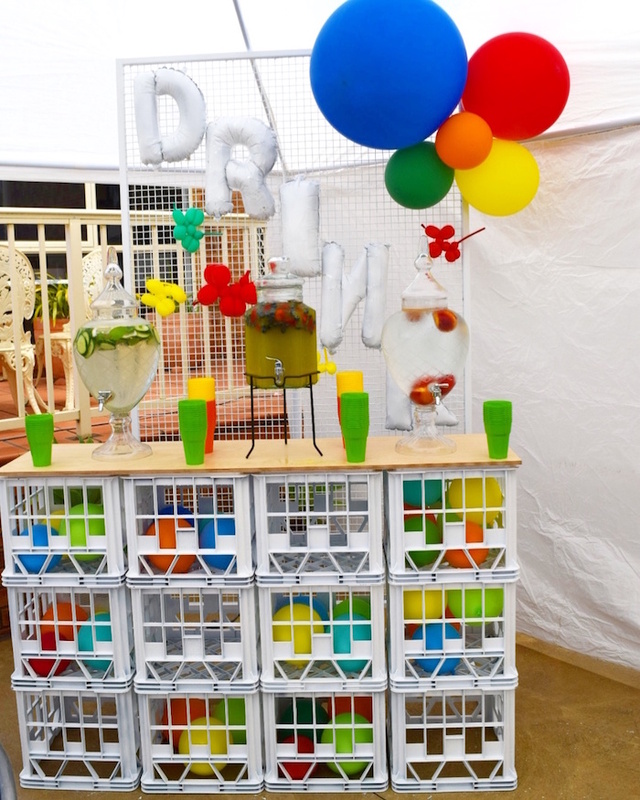 A side feature to the dessert table was our new white crate bar filled with balloons and our mesh screen backdrop with white letter balloons and balloon detail. 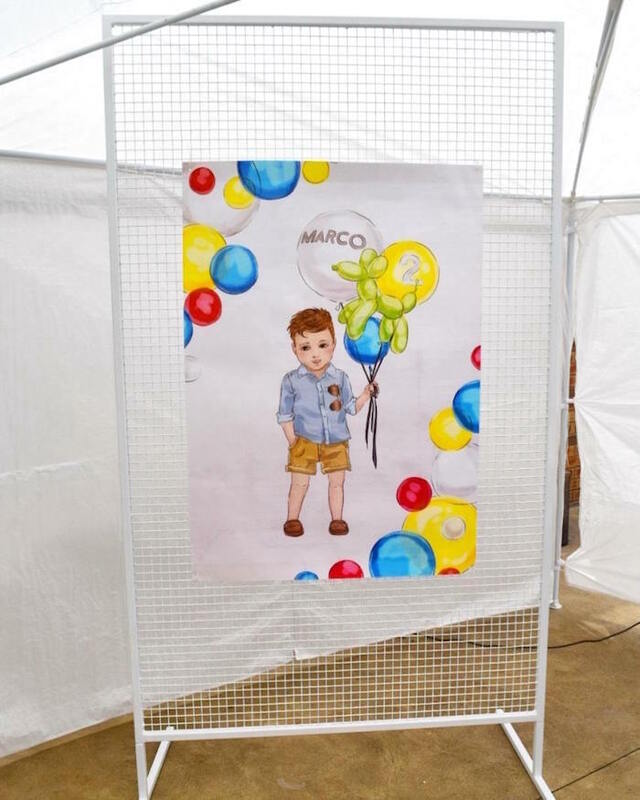 We also showcased the amazing custom illustration of Marco to the party detail by attaching it to another mesh screen. 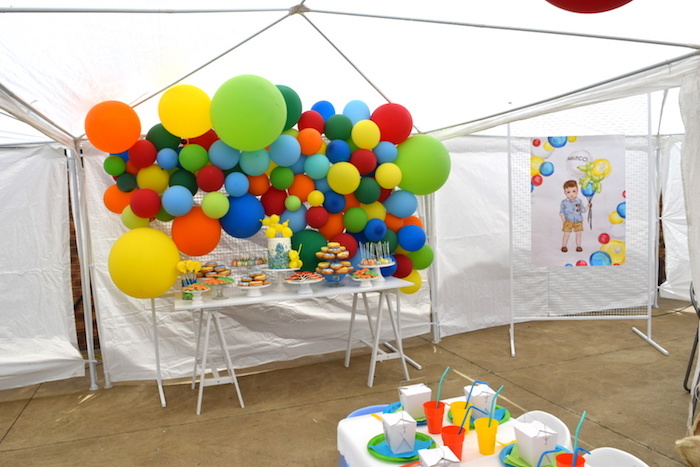 The amazing kids tables and chairs setup filled the central area nicely. 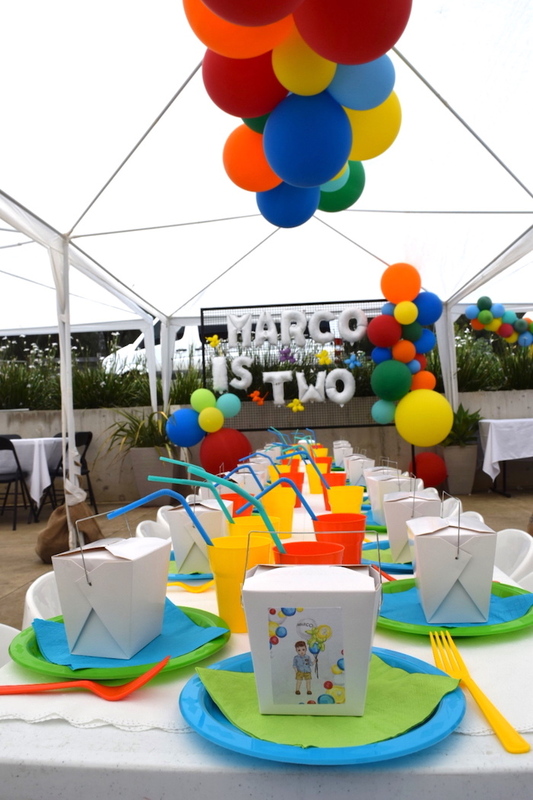 We used multi coloured tableware to match the theme and tie in with the 5 meter balloon roof garland. 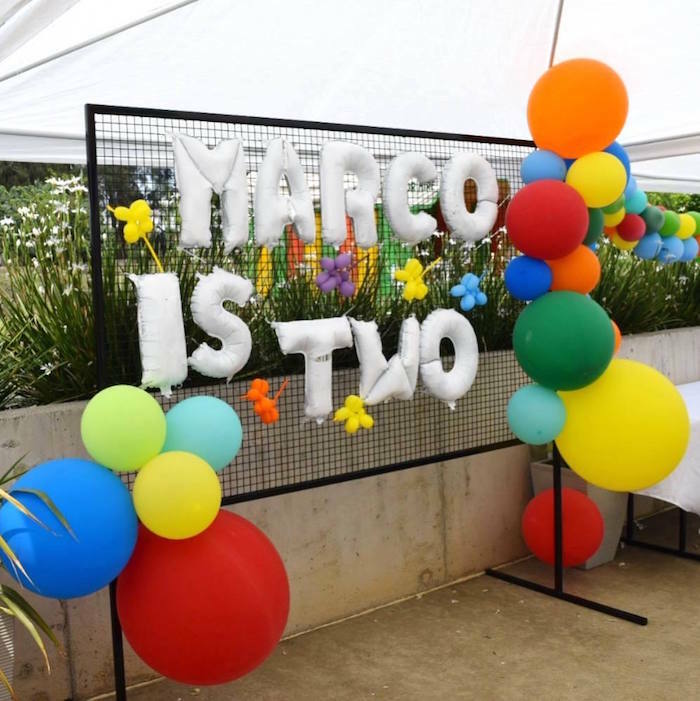 To end the party on a fantastic note, each of Marco’s guests went home with a super cute party box featuring the custom illustration made by Love Lune”. 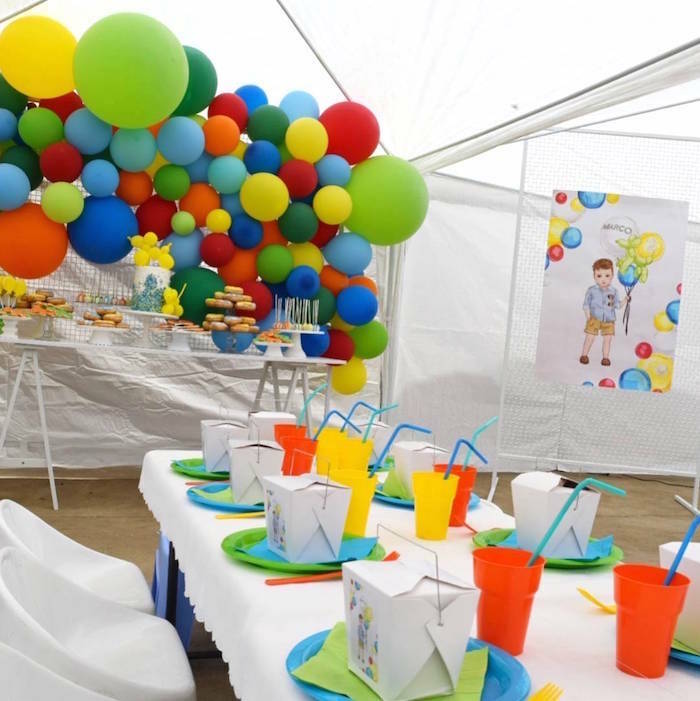 I absolutely love colourful kids parties. That illustration is adorable, what a great idea! Great feature! 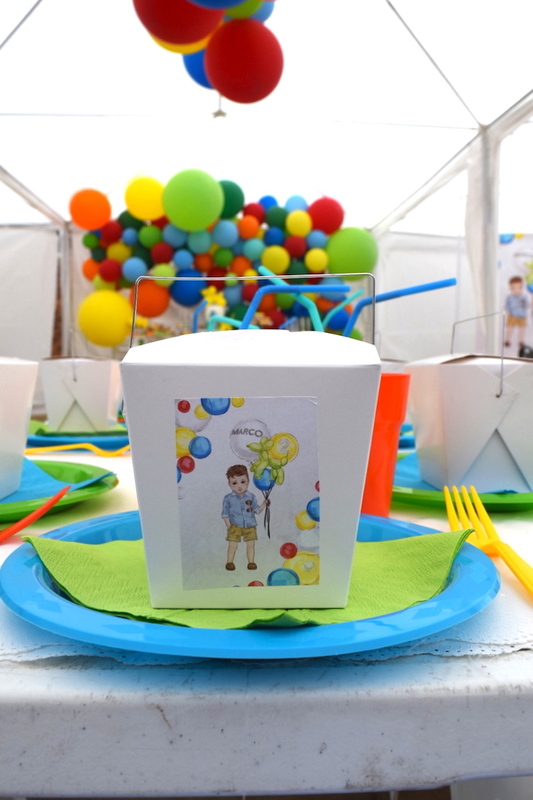 We used the Party Style Co to work their magic for our son’s Christening and Birhday. Love their work, and they excel in customer service. Best in the business hands down!!! Wow!! I love these idea! 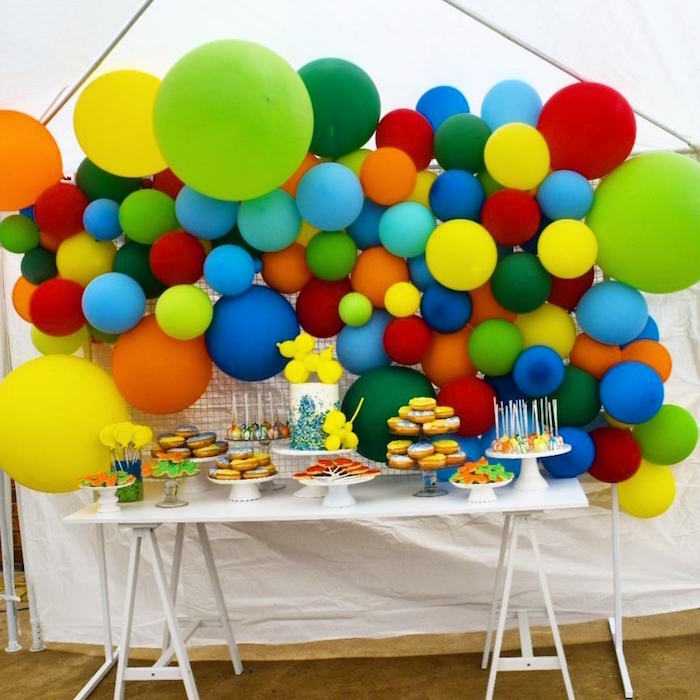 Of course balloons and parties go together but I would never of thought of holding a balloon themed party, my kids would love this! 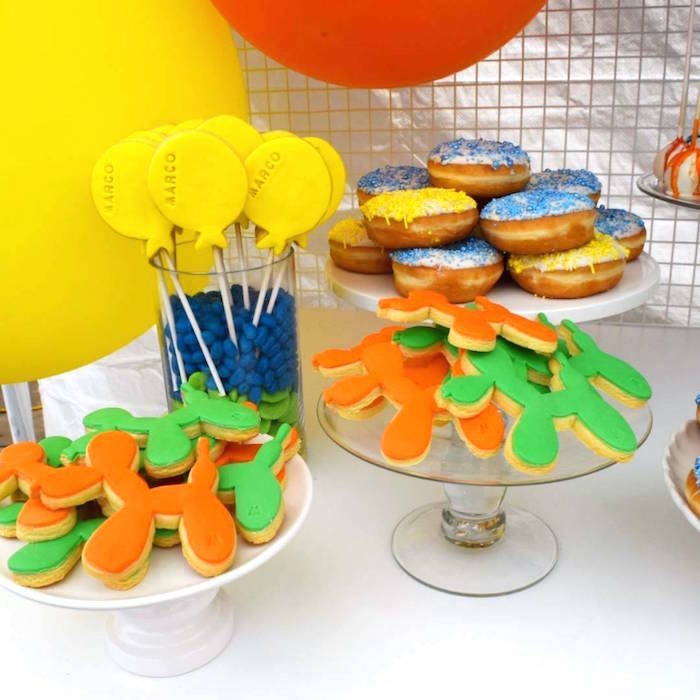 Very clever I’ll be contacting these guys for our next kids party that’s for sure! 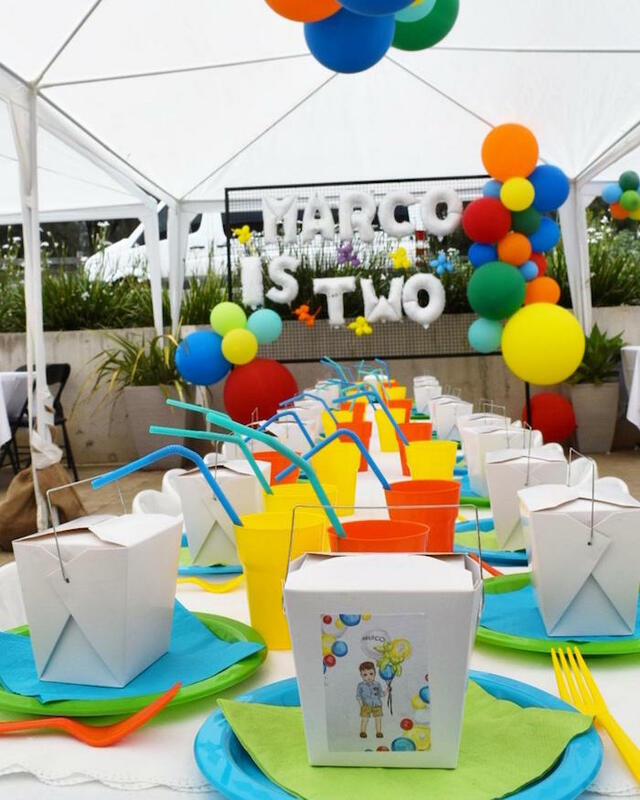 Love how colourful this is, what a lucky boy Marco is. 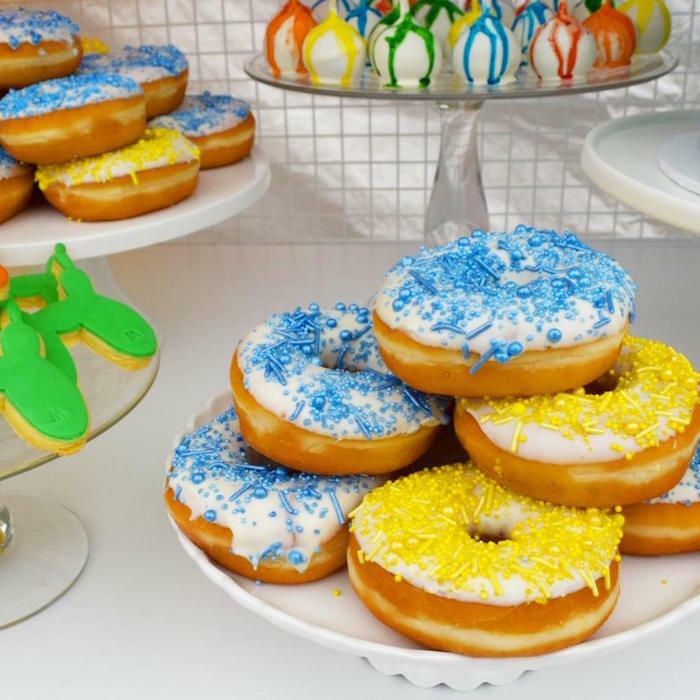 Looks like an awesome party! BRILLIANT!!! 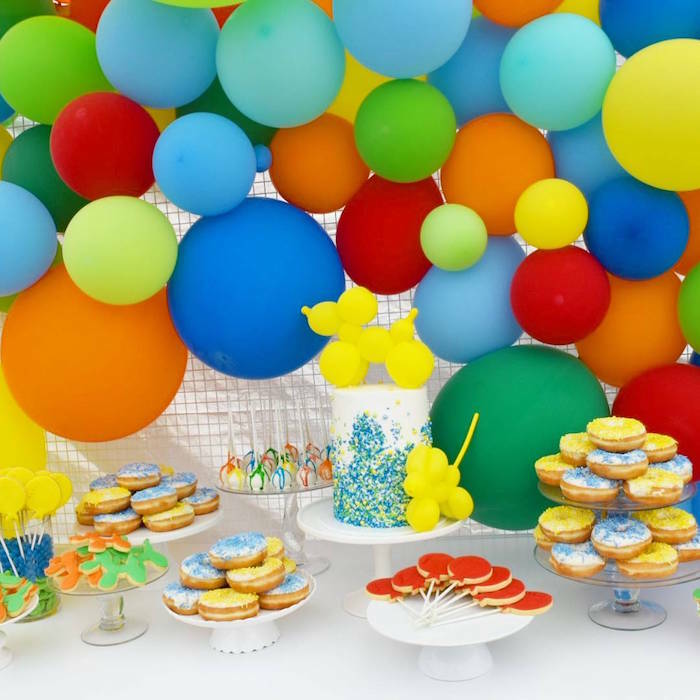 So fun and colourful, I don’t know a child who doesn’t like balloons! Looks amazing. We have used The Party Style Co for our sons baptism and 1st birthday and now our Engagement. Me being a big stress head it feels so good being able to trust Stephanie and knowing that she will go above and beyond to make everything amazing. I wouldn’t recommend anyone else! !